I would just love to make my own balsamic vinegar, but I believe I should leave it to someone who has the patience to wait for the vinegar to mature for a minimum of 12 years. The thought of waiting 12 to 50 years for flavors to fully mature is very respectable. Like champagne, parma ham, and parma cheese true balsamic can only be made in a very specific part of Italy- Modena and Reggio Emilia. Different than the commercially available and also enjoyed balsamic, this vinegar is made and aged a very specific way. The product is made by reducing select white grape juice by boiling it and then placing it in a series of seven consecutively smaller barrels. 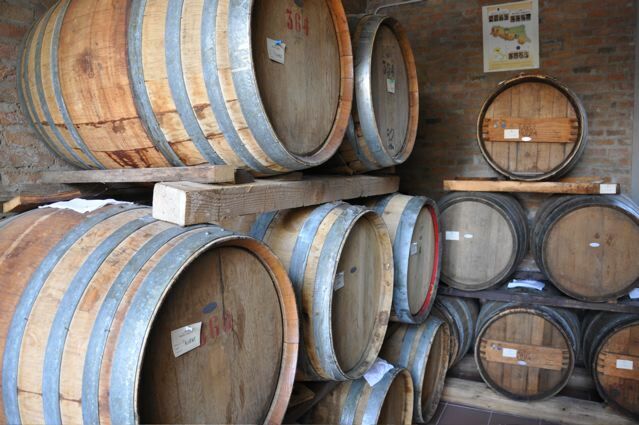 These barrels are also made of different woods to give flavor. It is at the discretion of the artisan to use cherry, juniper, oak, etc. and must be aged for a minimum of 12 years. Over this period of time the flavor intensifies becoming more viscous and resulting in a rich glossy complex flavor that balances the natural sweet and sour wonderfulness. After making rotations in the seven different barrel sizes these barrels are set for final aging and bottling. We purchased an 18 year bottle to share with our friends at special meals so they too can experience a true balsamic vinegar. 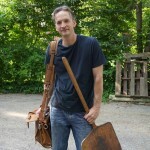 Tom Edwards is a Miller, Baker and Pizza Maker for MozzaPi Louisville. He holds numerous certification as a pizzaiolo from Verace Pizza Napoletana and Scuola Italiana Pizzaioli. He is a world-renowned artisan baker and has led Artisan Bread School classes in the US and Europe. The mission of MozzaPi is to create food and experiences that bring joy to people's day. We seek to create an environment of respect, appreciation, abundance and gratitude. This means constantly ensuring that our pizzas, baked items, stone milled flour, and educational experiences are always memorable, unique and experiential.